Above: Rex Pak Limited’s vice-president of operations Denise Sabatini Fuina and vice-president of manufacturing Devin Sabatini strike a pose with a Mettler Toledo Safeline PowerChek X-Ray inspection system recently purchased from the Oakville, Ont.-based Shawpak Systems. Life is good at top of the food chain, especially when your company is doing all the right things to remain there. And getting many things right is just how it’s been for Rex Pak Limited, an east-end Toronto food manufacturing company that is really hitting its full stride these days as Canada’s largest independent co-packer of dry powder goods, including a multitude of foodstuffs commonly found across a large sway of Canadian households. “There is a 60-percent chance that if you open up your cupboards you are going to find a nationally-branded product in there that was actually made by us,” says Rex Pak vice-president of operations Denise Sabatini Fuina. 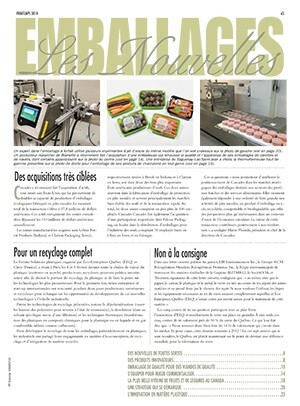 While citing strict client confidentiality for reluctance to reveal names, a recent visit by Canadian Packaging to the busy 100,000-square-foot, peanut-free production facility uncovered a highly diverse range of technical capabilities and skillful manufacturing competencies for manufacturing and packaging a wide variety of dry powder foodstuffs and other dry-mix products. “Suffice to say that Rex Pak essentially produces everything from rice and pasta to cheeses and soup mixes, as well as sugar and sugar-substitute sachets,” Sabatini Fuina relates. Founded by Louis Sabatini in 1973, the successful copacker’s day-to-day operations are nowadays expertly managed by the founder’s daughter Denise, and the son and vice-president of manufacturing Devin Sabatini—both proud torchbearers for their father’s affinity for manufacturing excellence and superior customer service. 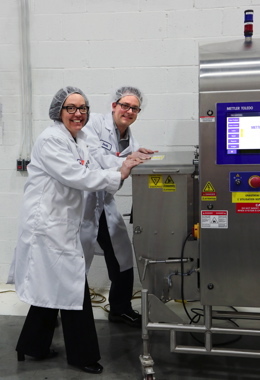 As her brother Devin explains, serving customers in the ever-changing food industry requires a lot of flexibility from its co-packing business partners in order to keep the brand-owners happy and ready to respond quickly to all new trends in a timely manner. According to Sabatini, the past 10 years have seen a lot of the CPG (consumer packaged good) brand-owners increasing delegation of its manufacturing functions to companies like Rex Pak. 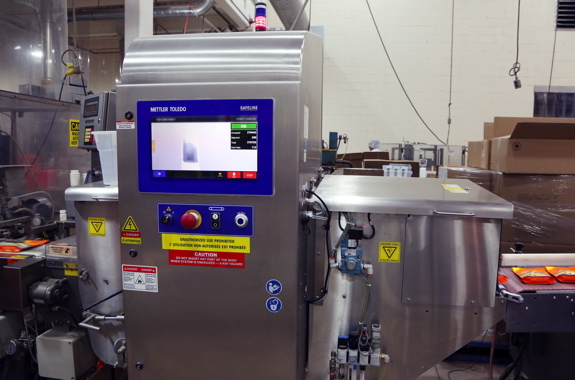 The Mettler Toledo Safeline X33 X-Ray unit provides thorough high-sensitivity inspection for potential contaminants and foreign objects for all products packaged at the Rex Pak facility in Toronto, while also providing full data capture to meet food safety certification compliance requirements. “Prior to the past 10 years most of the major brand-owners employed their own packaging division at their own plant,” Sabatini relates. 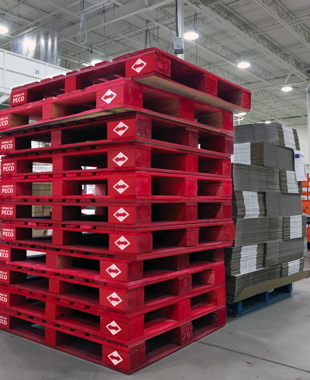 “But eventually they began to do away with those divisions after realizing that it was more efficient for them to hire co-packers, like Rex Pak, to deal with the tasks keeping up-to-date on the latest packaging line equipment, packaging for distribution, and so on. he says, adding brand-owners can save themselves significant costs, time and effort by outsourcing these functions to contract packagers like Rex Pak. “Rex Pak, like all co-packers, is in the business of removing a level of burden from the brand-owner, assuming it for ourselves. 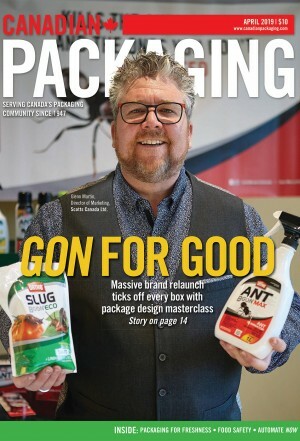 “This development has allowed Rex Pak, already an established name in the Canadian co-packing industry, to become a market leader in the dry powder segment—allowing us to grow our business by leaps and bounds over the past few years,” he states. Adds his sister: “Although we do not create recipes for customers, we do adhere to them in totality, as we want to continue to be a large part of our customer’s successes with the consumer public. “In terms of our direct competitors, we maintain our competitive advantage in the market because of our superior short-run capabilities,” says Sabatini Fuina. “Simply put, we have the unique advantage of being able to perform quick changeovers. “It means we can easily handle short production runs, as well as long production runs, without it creating bottlenecks in our production area,” she says. “Ultimately it means more business opportunities for us.” Sabatini Fuina cites the company’s vast experience and expertise in high-quality custom blending of powdered and dry bulk products to the exacting standards of its many national brand-owning customers as a key core competency. One of 30 production lines housed at the Rex Pak facility, where the product is filled and sealed inside flexible stand-up pouches, which are then swiftly conveyed past a Mettler Toledo Hi-Speed Micromate model checkweigher to verify accurate product weight. Doing all its own blending on-site since opening its doors, the Rex Pak plant now houses three operational blending rooms, along with a separate weighing room to ensure exact measurements for all products in safe sanitary environments. “Our blending rooms are both humidity- and climate- controlled,” says Sabatini Fuina, “and they are all equipped with state-of-the-art extensive dust filtration systems. Partial and complete turnkey options for blending, processing and packaging, and the purchasing of raw materials. 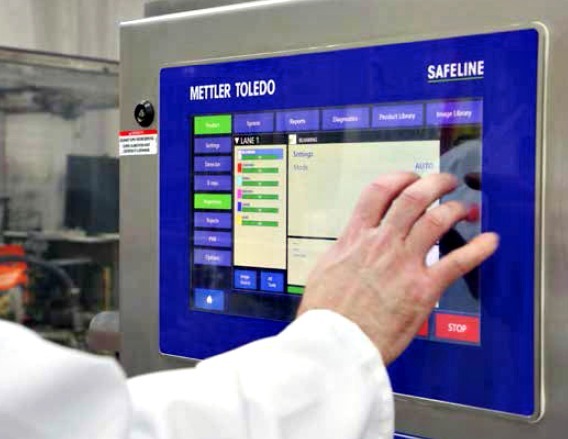 A close-up view of the easy-to-use Mettler Toledo Safeline X-Ray inspection system’s HMI (human machine interface) touchscreen terminal, designed to facilitate optimal product quality in demanding sanitary production environments. 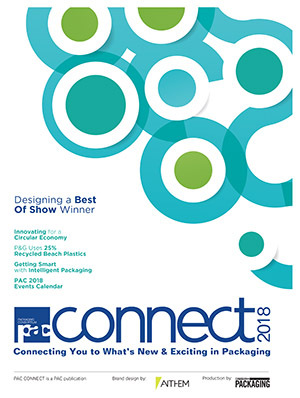 To service its large customer base, Rex Pak operates 30 highly-automated packaging lines, as well as a computerized quality-control and warehouse division, to achieve consistently quick turnarounds for all the production runs. “A lot of our equipment is placed on wheels—allowing us to move equipment in and out of a production line,” notes Sabatini. 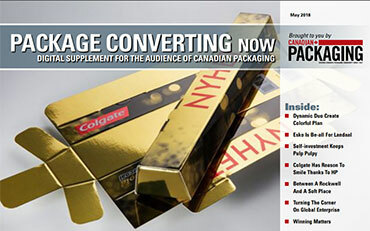 The typical Rex Pak production line consists of a vertical or horizontal flexible pouch packaging option. A broad selection of specialty equipment employed to add reclosable zippers to the top of a pouch; a vertical pasta machine for filling pouches, with the capability to create two individual pouches in one to combine different product ingredients and/or seasonings; a vertical cup line that uses scales, an auger and/or a slide-gate to fill a cup with two different products at the same time, such as cereals, candies or noodles; a steamer machine to fill packages of coffee, custards, gelatines and oats. “Ensuring one’s usefulness to the customer is a full-time job in itself for Rex Pak,” says Sabatini. “This is why we provide such a wide range of options,” says Sabatini, stressing the company’s Number One priority of meeting all the customer specifications and ensuring that customer and consumers receive the safest, highest-quality finished product possible. “Our highly-skilled QA (quality assurance) team performs rigorous tests on all in-house blending and finished goods as per our customer’s specifications,” Sabatini relates. Being flexible to accommodate customer requests is also paramount in the co-packing business, he adds. “Over the years there have been instances where our customers have made specific requirements to us regarding what they need for food safety assurance and compliance,” Sabatini says, noting the plant has recent updated its HACCP (Hazard Analysis and Critical Control Points) and the vaunted SQF (Safe Quality Food Institute) Level 2 certifications. 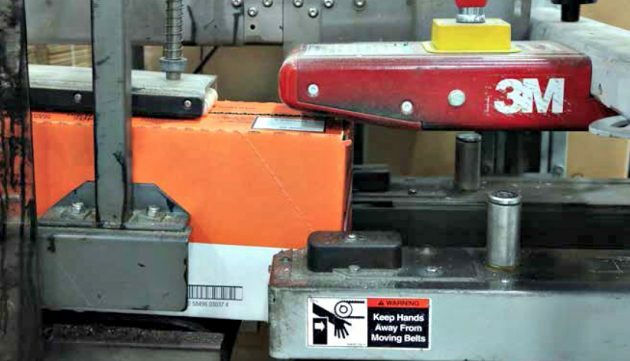 All the filled cases of product are reliably tape sealed by the rugged 3M carton sealing unit, also supplied by Best Packaging, to ensure optimal product protection for the contents of the box during transit and distribution. Boasting the highest possible license granted by Agriculture Canada, the Rex Pak plant is also a federally-inspected meat and dairy processing facility, which is also subject to periodic USFDA (U.S. Food and Drug Administration) agency inspections. Sabatini adds that Rex Pak also has an authorized government inspector on-site, along with a qualified trainer to coach and update plant employees on its HACCP program, which is continuously modified to ensure it remains at the highest level possible. Sabatini makes a point of crediting the company’s dedicated, hardworking staff for enabling it to remain true to its founding cornerstone values of quality, flexibility, customer satisfaction and efficiency. “Long ago, our father taught us that the foundation of these four cornerstones is achieved by assembling a great family of employees,” Sabatini recalls. With quality cited as the first cornerstone, Sabatini says the company places a lot of faith into the many product inspection systems—manufactured by Mettler Toledo Safeline and represented in Canada through Oakville, Ont.-based Shawpak Systems Limited, which have been installed throughout the plant’s 30 production lines, as well as in the QA laboratory. In addition to using Mettler Toledo’s Titrator Excellence T5 system to conduct a chemical analysis to identify the concentration of ingredients to meet the customers’ specs, the lab also employs other Mettler Toledo laboratory equipment such as the SmartSample Flexibility reader; and the In-Motion Flex Autosampler analysis machine; and a model P25 printer. 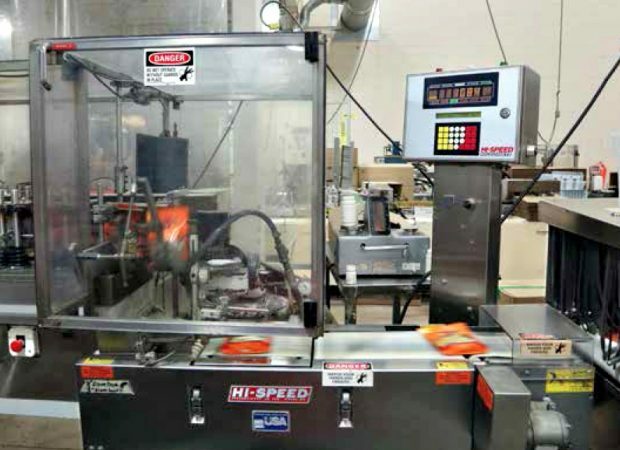 On the busy production floor, each of the 30 lines are equipped with both a Hi Speed Micromate checkweigher to weigh pouch fills; and a high-speed Checkmate checkweigher at the end of the line to weigh the total weight of each finished packed product before it is hand-packed into master cases. Above: One of several Domino A 320i model continuous inkjet printers used by the Rex Pak plant to apply best-before data and lot-code data (see below) onto the product packages of various sizes product at high throughput speeds, generating clear and highly legible codes, text and other variable product information to ensure optimal product traceability. We have had nothing but great results from using these Mettler Toledo checkweighers,” says Sabatini. “However, we are transitioning away from the Mettler Toledo Micromate and Checkmate models to Mettler Toledo’s new XE controller,” he adds, noting the discontinuation of the analog Checkmate controller components used on the older-generation checkweighers. 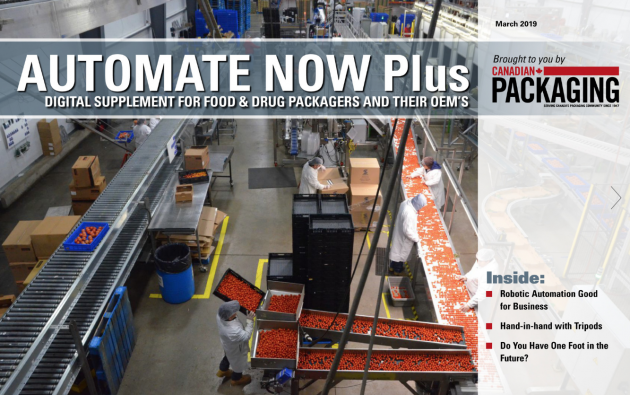 Says Shawpak’s vice-president Larry Swift: “This is a major benefit to Rex Pak as they do not have to replace complete systems, as some of these units are highly-integrated with the existing packaging systems. “The upgrade will provide optimal data capture and statistical reporting functionality that will allow Rex Pak to track full production data, while enabling it to achieve quick ROI (return-on-investment) by controlling all the product trends more accurately. “The Mettler Toledo Hi Speed XC checkweigher has been reviewed positively as a standalone solution on some of Rex Pak’s end-of-line applications,” Swift relates. Other recent capital investments in product inspection at the plant include installation of three Mettler Toledo X-Ray systems, including a Mettler Toledo X33 installed in 2013—used for finished product inspection of filled, sealed and weighed bags—and two PowerChek models, which have been up and running since early 2016. 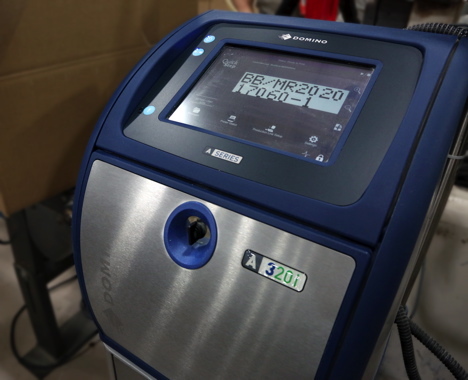 “While Mettler Toledo has a wide range of X-Ray products in its portfolio to suit many types of application from pumped product to finished packages, Rex Pak opted for the X33 system, running at a mere 20 watts of power, due to its very low cost of ownership,” says Swift, adding that Rex Pak utilizes the PowerChek platform on its larger products, a system that is adept at handling multiple product type and changes, providing flexibility—an important factor for the co-packer. As for the two new PowerChek X-Ray units Rex Pak purchased through Shawpak, Sabatini clearly likes what he has seen so far. “We are very happy with these new X-Ray systems,” Sabatini states. The PowerChek X-Ray units, along with the X33 X-Ray system can each run at speeds up to 250 feet per minute as a standard or up to a rate of 450 FPM on the PowerChek with a different conveyor configuration, according to Swift, whereby the actual running speed is limited only by the product handling and rejection speeds. “We even calibrated the installed checkweighers to meet Rex Pak’s product sizes to obtain the maximum speed possible,” Swift relates. 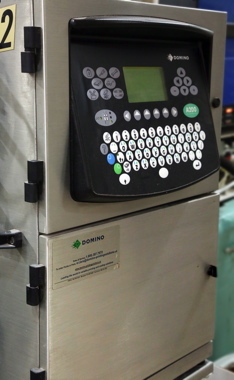 One of several Domino A200 CIJ printers used by Rex Pak to apply small-character codes onto the individual packs of product before they are packed inside the master cases. Large technical service support across the U.S. and Canada. 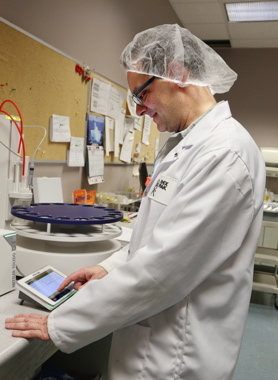 Rex Pak vice-president of manufacturing Devin Sabatini working with an HMI tablet that controls Mettler Toledo’s quality assurance laboratory equipment. 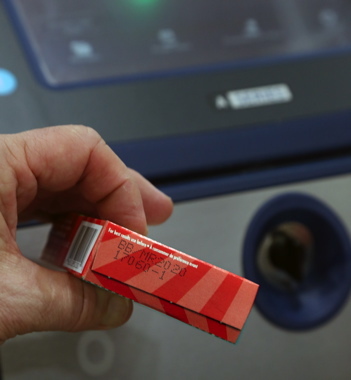 Many of the package types utilized by Rex Pak contain a metal barrier within the film, so the only viable option for proper safety inspection, notes Sabatini, is to use an industrial X-Ray inspection solution. “The wide inspection range of the X-Ray systems allows us to search for a wide-range of inclusions such as small stones and other natural products,” says Sabatini. He says that Mettler Toledo has been a partner of Rex Pak since more stringent requirements surrounding food safety became de rigueur years ago, which was the initial reason it purchased their end-of-line checkweighing machinery. “Nowadays, all of our Mettler Toledo equipment—from the checkweighing systems, and our new X-Ray and laboratory equipment—provides both the customer and us with complete peace-of-mind that only healthy and safe food is going to go out in the market,” Sabatini states. Rex Pak continually upgrades all of its equipment, says Sabatini, with new Mettler Toledo systems always given serious consideration. 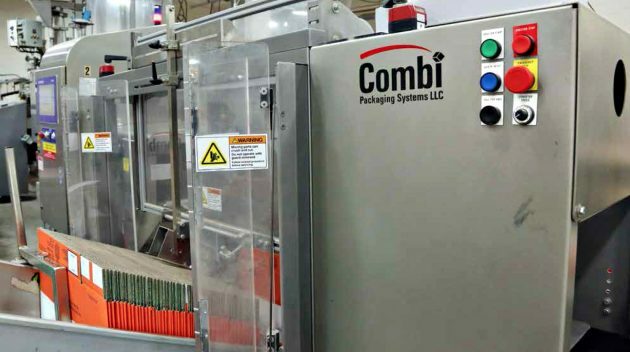 “Their equipment just keeps getting better and better as time moves forward,” says Sabatini, “which makes it an easy choice to keep going back to them and our friends at Shawpak. “More and more, our customer discussions reveal a high level of interest in having their products X-Ray inspected,” Sabatini sums up, “and we have also had many potential ‘would-be’ customer contact us to ask if we have X-Ray inspection units in place.